NICOSIA - Bank of Cyprus, the Mediterranean island's largest lender, announced Tuesday losses of more than half a billion euros for the six months to June as it increased buffers for bad debt. Cyprus is recovering from a financial crisis that left a number of its top banks insolvent and forced it to negotiate a painful bailout with international creditors in 2013. Bank of Cyprus said it had set aside another 500 million euros for bad loans in the first half of 2017. That left the lender saddled with losses after tax of 554 million euros ($667 million) for the six-month period, compared with a 56-million-euro profit in the first half of 2016. Chief executive John Patrick Hourican said the bank was focused on reducing risk in its balance sheet. "We expect to continue to utilise the operating profit of the Bank in the remainder of 2017 for further balance sheet de-risking," he said. On an upbeat note, the bank noted that Cyprus's 3.5-percent economic growth rate in the second quarter of the year was the second fastest in Europe. It said the group had more than doubled its new lending in the six months to June from a year earlier, to 1.1 billion euros. In March 2013, Cyprus clinched a 10-billion-euro loan from the European Union and International Monetary Fund to bail out its troubled economy and oversized banking system. 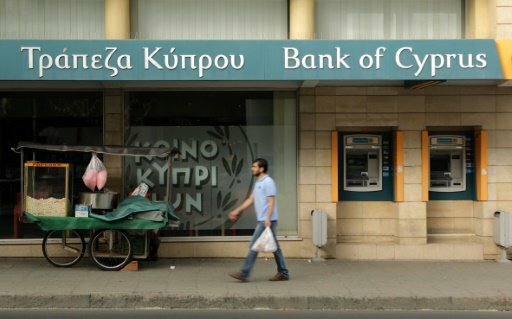 Under the terms of the deal, the government was required to close the island's second-largest bank, Laiki, and impose a 47.5-percent haircut on deposits above 100,000 euros at Bank of Cyprus. The bank has since undergone major restructuring, which included absorbing the good assets of the former Laiki Bank and selling assets. Underlining its comeback, the bank listed on the London Stock Exchange in January.